Do you have a business or know anyone with a business that needs to be promoted? 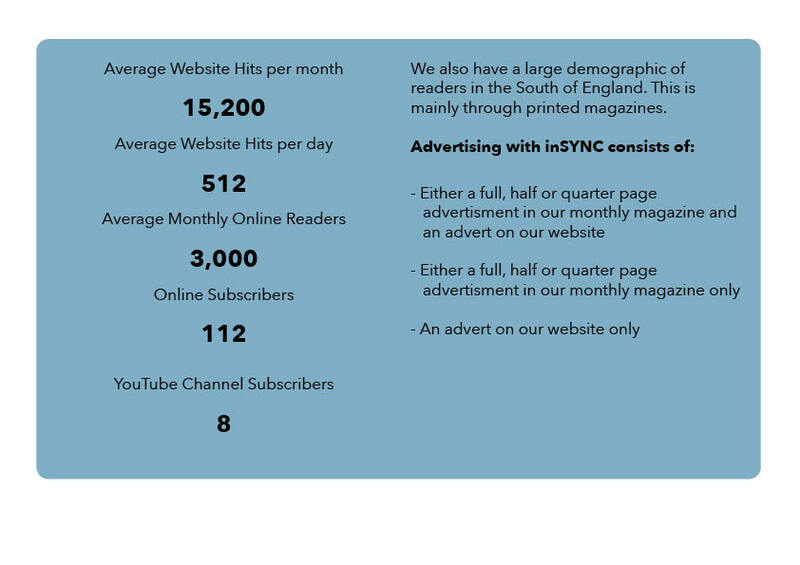 inSYNC offers a cheap, but excellent quality way of advertising you business online, and in our printed magazine. In each issue we only have a select number of adverts per month as to not inundate our readers. However, this can have a positive impact upon your business as it is more likely to be noticed, and there is less competition with other adverts. Included in the advertising cost, your business will also be promoted online at www.insynctm.com with an online article featuring your product and/or service. If you wish to find out more about our great advertising options, or want to have your business featured in the next issue of inSYNC, then go to our Contact Us page now and get in touch. Alternatively, if you wish to speak to us then call inSYNC’s Press Manager, Tobi Stidolph, on 07414 715157.